Wondering what to do in Salta, Argentina? We suggest you think broadly since you cannot really separate the city of Salta from the province of Salta – you cannot explore one without the other. Nor should you! Salta, the city, sits within the magnificent Salta province of Argentina, which is bordered by Chile, Bolivia and Paraguay. The province accounts for just over 4 percent of Argentina and is about the size of the U.S. state of Georgia or double the size of Scotland. It is a diverse area too, with elevations from a low of just 500 meters above sea level (1,640 feet) to a breath-grabbing 6,730 meters (22,080 feet). Considered one of the most bio-diverse regions in all of South America with nearly half of the population living in the city of Salta (700,000 of 1.4 million), the world-renown scenery and expanse of open space is both rugged and approachable and will leave you in awe: Andean peaks touching the deep blue sky, picturesque red rock valleys, stark white salt flats, grass-lined plains, and lush green vineyards. And it is because of the vast expanse of this wild and, frankly, fairly fragile landscape, that the only way to explore much of the Salta province is through adventure-based activities that combine both vehicular and human-powered transportation (4WD excursions, on horseback, by bike, in whitewater rafts, and by foot). There are 21 nature reserves (both public and privately owned and operated) and three national parks within Salta province, and the province is home to between 661 and 1,000 bird species, making it a birdwatcher’s paradise and one of the largest bird habitats in Argentina. Wildlife, too, abounds, including vicunas, guanacos, alpacas and flamingoes. 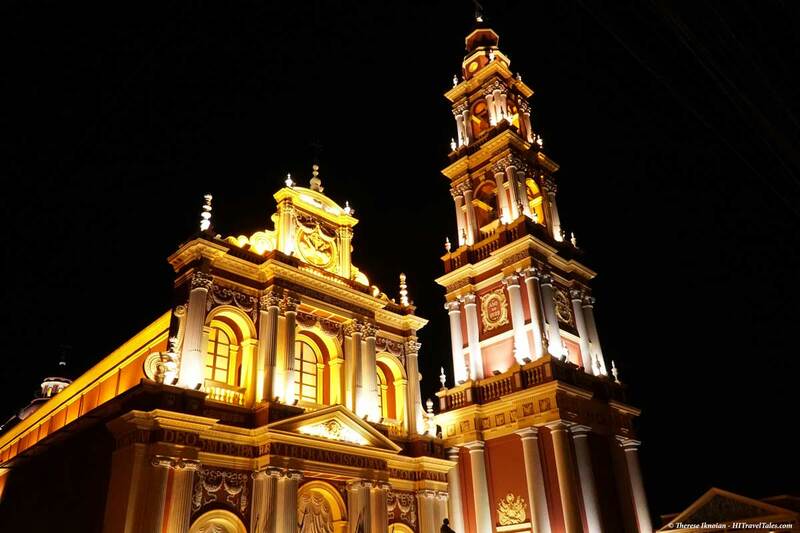 The city of Salta, also the capital of the province, is the perfect base for any explorations. 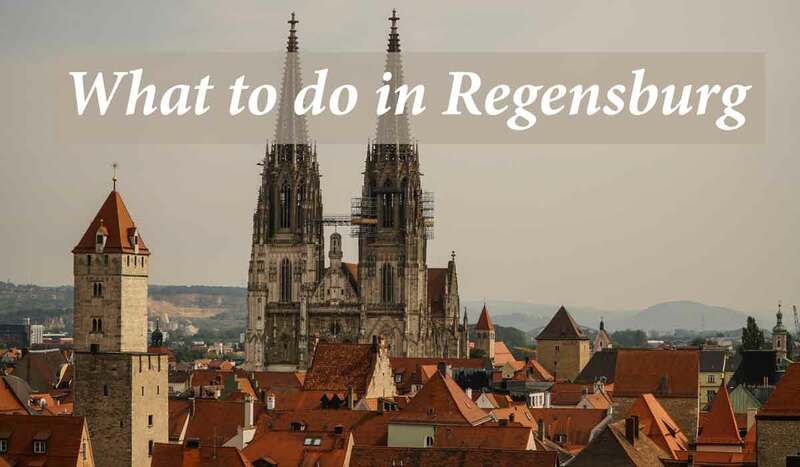 Founded in 1582 as a supply center for far-flung Spanish mining encampments, the city’s old town is now better known for its tourist-friendly hotels, restaurants, museums, city squares, colonial architecture, museums and art scene, coupled with a vibrant nightlife. Perfect for exploring on foot, it will not take long to understand why the old city center of Salta is known locally as “La Linda” (“The Beautiful”). And once you have had your fill of the city of Salta (and nearby attractions), it becomes the perfect launching pad for more far-flung adventures into the Puna, the salt flats, the Yungas, the wine region of Cafayate, rock gorges and green valleys, or even the bordering provinces of Tucuman or Catamarca — all while experiencing the warmth and culture of traditional Andean towns you will encounter along the way. In the map below, pins mark the exact location of the sites and places to see mentioned in our travel tips on Salta, Argentina. Zoom in or out on the map using the controls. Switch easily from map to satellite view. 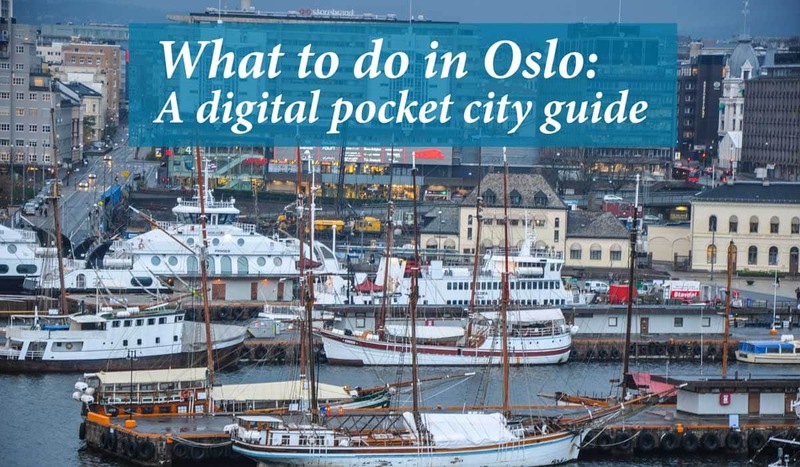 Click on each pin to pull up a tooltip with the name of the destination or location as well as any additional information, including links to stories and articles. This map is the perfect place to begin planning what to do in Salta for one, two, three or more days. 9th of July Square (Plaza 9 de Julio) – You should begin your Salta experience on this main square. And keep coming back to it. Named for the Argentine Independence Day marking independence from Spain that was officially declared on July 9, 1816, the square is the perfect place to people watch (dog watch, too, as you will discover) from any number of lovely restaurants and cafes around the square’s edge. 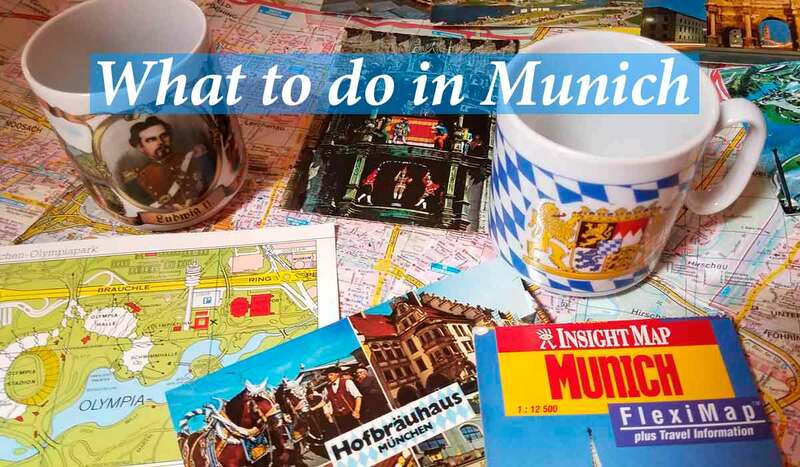 There are also museums and some interesting shops. At night, the square really comes alive. The cathedral was originally built between 1865 and 1882 (destroyed once by an earthquake) and is located right on the 9th of July Square. It is one of the most recognizable and often photographed landmarks in Salta with its light pink exterior. When it is illuminated at night, it is especially spectacular. 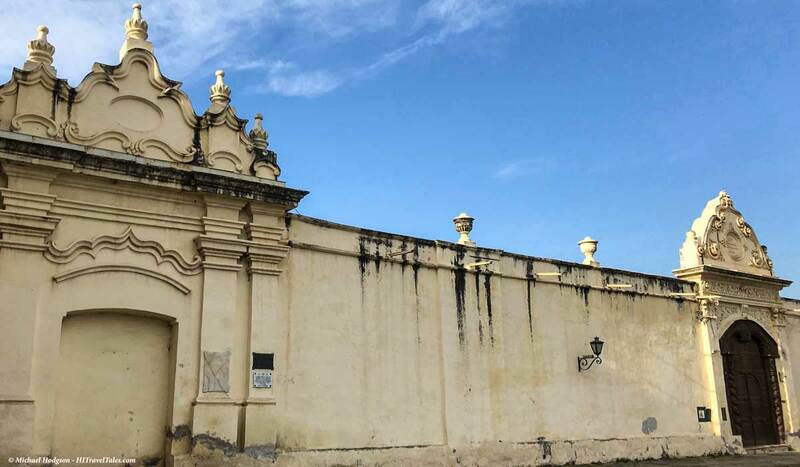 The interior houses the tomb of the hero of the revolution and Salta’s independence, General Martín Miguel de Güemes, and is worth visiting simply to get a peek at the stained glass windows and the large frescoes on the portico around the altar. Just a block away from the main square on Caseros is another cathedral that is awash in lights and color at night. 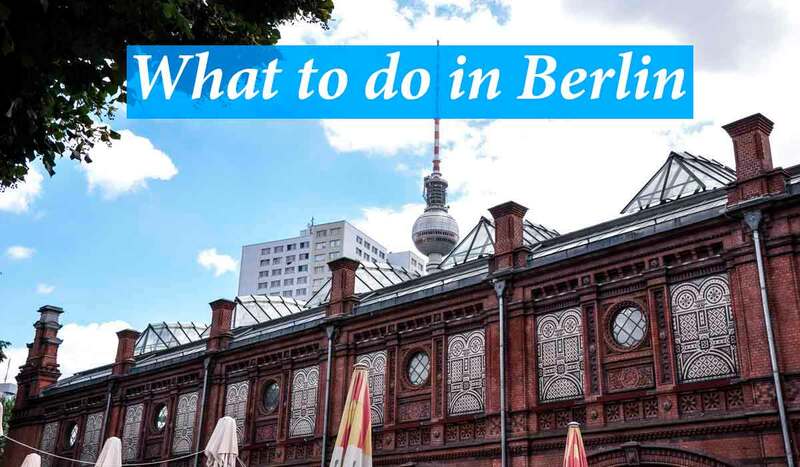 Construction began on it in 1625, with the 54-meter bell tower (177 feet) added in 1877. Today, it remains the highest bell tower in South America. The church was declared a National Historic Monument in 1941. Its hours are very limited so do check in advance if you’d like a look inside too. The Museum of High Altitude Archaeology (MAAM) houses the mummified remains of three children (aged 6, 7 and 15) and numerous objects that were buried with them during a ritual Incan sacrifice approximately 600 years ago. The children’s remains were discovered in 1999 at the summit of the 22,058-foot Volcán Llullaillaco located on the border of Argentina and Chile. The bodies were naturally mummified by the high-altitude air and freezing temperatures, which kept the skin, hair, hands and clothing in remarkably good condition. Plus, inside, you get insights into the Inca culture itself. 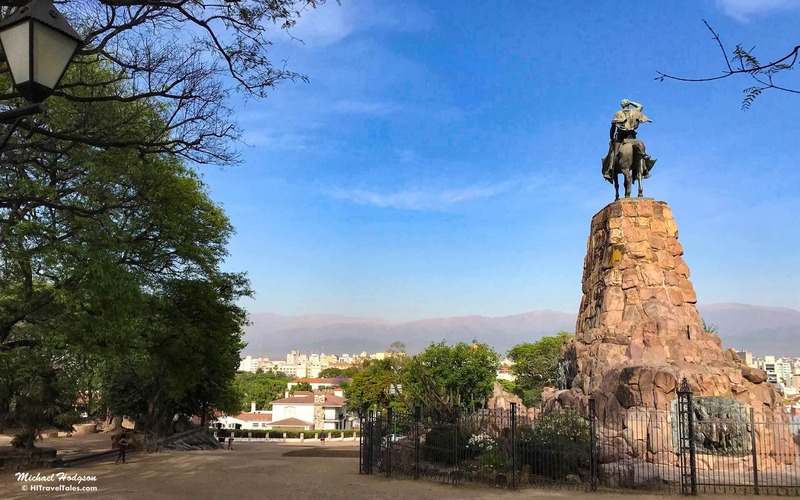 Located at the foot of San Bernardo Hill and in the midst of one of Salta’s more beautiful neighborhoods (worth a wander around to view the homes) sits the Monument to General Martin Miguel de Güemes, dedicated to a hero of the Argentine independence and governor of the Salta province. From the top, you enjoy one of the best views of the city. You can either walk up the stairs (locals run it for their workout!) and take the cable car down, you can take it up and walk down, or you can of course take it both ways! At the top there are nice gardens and a few vendors selling Salta trinkets. A long relatively barren building up Caseros from the main square, at the corner of Santa Fe, has served as a chapel and hospital and now houses an order of Carmelite nuns. Wander by just to enjoy the huge, heavy wooden door, which was created by indigenous craftspeople in 1762; no touring of this adobe building is allowed. If you are lucky, a few nuns may be selling some homemade pastries outside. 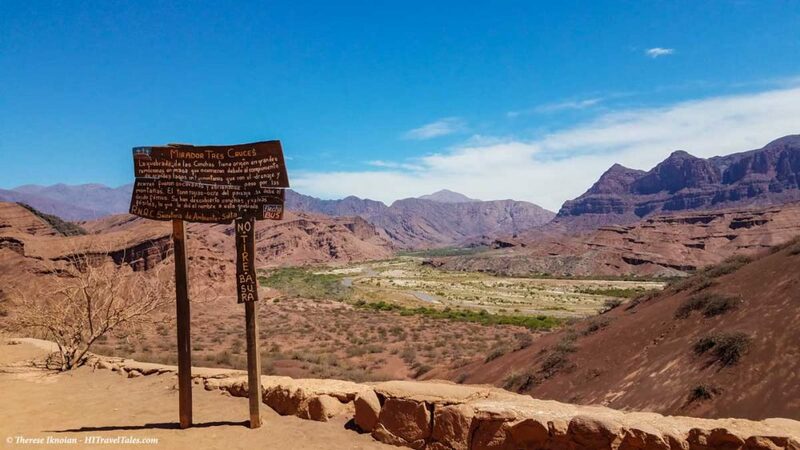 The Quebrada de Cafayete, also known as Quebreda de las Conchas or Shell Gorge, makes the three-hour drive from Salta to Cafayete a tour all on its own, not just a drive to get there. 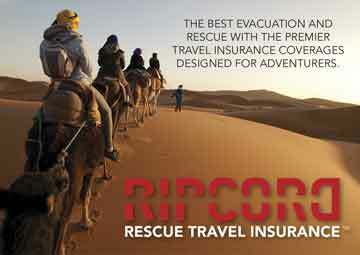 Even if you don’t plan to visit Cafayete (really? ), a strolling drive through the gorge is a must. The canyon with its red rocks and cliff formations provides an impressive backdrop to route 68 – the road connecting Salta with the wine-growing region of Cafayate. Superior sights along the way include the astounding Natural Amphitheater (Anfiteatro Natural), the Devil’s Throat (Garganta del Diablo), Obelisk (El Obelisko), the Castles (Las Castillos) and more. Busting onto the international wine-growing scene just in the last few years, the town now has 60 or so wineries (up from two 25 years ago). The wine is special indeed — mostly focused on Malbec, Cabernet France, Torrontes and Sauvignon Blanc – partly because of the climate and altitude. Traditionally, the train left early in the morning from Salta’s central station and climbed steeply up to the Quebrada del Toro (Toro Gorge) high up in the mountains. The train reportedly passed through clouds since the route is so high, thus earning its name. At the end of the journey the train reached a height of 4,220 meters (13,845 feet), where the train crosses a much photographed viaduct over the valley below. As of this writing, however, due to rail damage from floods, the train ride now involves a very long bus ride (albeit along the same route), before connecting with the train for a short section. The round-trip journey with the bus and short train section takes nearly 12 hours, with breaks along the way for meals and visiting little towns. No word on when the train will resume departures from Salta again. If you have spent more than an hour in Argentina, you have probably already experienced its love affair with this sweet, creamy spread made basically of caramelized sugar and milk. Dulce de Leche is the most popular flavor for pastries and ice creams, but they also just eat the spread on toast or you name it! We had the pleasure of a short tour of a family-run factory just outside of Salta in Campo Quijano (where the main street with its street art is also worth a saunter). The drive is about 35-45 minutes. A tour of the Puna is not for the weak of heart since a loop journey (often three to seven days, not counting time needed if you want to do additional off-shoot excursions) will take you over passes that exceed 15,000 feet. Still, the diverse landscapes of the country’s northwestern high-plateau area are astounding. People and towns few and far between with expansive salt flats, red rock formations, volcanic cones, blazing white sand dunes, and sprawling pumice fields, not to mention wildlife. You can do a tour on your own, but it takes a lot of planning and some roughing it. We did a tour with Socompa Adventure Travel, which was the first into the Puna area and knows it like the back of its veritable hand. A nice-sized but non-pretentious eatery just a couple of blocks up from the main square. Friendly wait staff may not speak English but works with the hands-and-feet communication method very well! Everything from tamales and empanadas to salads, pasta, and meat or other grilled items – all at very reasonable prices. When in Argentina, indulge in empanadas. Everybody has their favorite place and they are all different. Salta claims to be where the little meat- or cheese- or vegie-filled pies originated and still (in our opinion!) has the best in the country since they tend to be baked there and not fried. And they are also smaller than in other parts of the country so a meal may be a half-dozen or so, with one or two being a little snack. At this patio, you find a half-dozen stalls with local empanada makers selling their take on the pie (and other goodies, like tamales and soups). On a corner of the Parque San Martin not too far from the cable car base station sits this little local pizza place with one of the best pizzas in Argentina – a nice break from meat, although of course you can get your share of meat and empanadas there too (don’t expect Italian pizza. You are still in Argentina, you know). 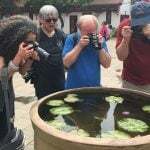 A sprawling historic adobe complex opened in 1858, this club hosts private parties and serves as a social club and community center, but is also open as a restaurant and wine bar. It is open for lunch and dinner on most days except Sunday. Need a bite if you are taking an excursion to Campo Quijano? Try this little place, right on the main street. 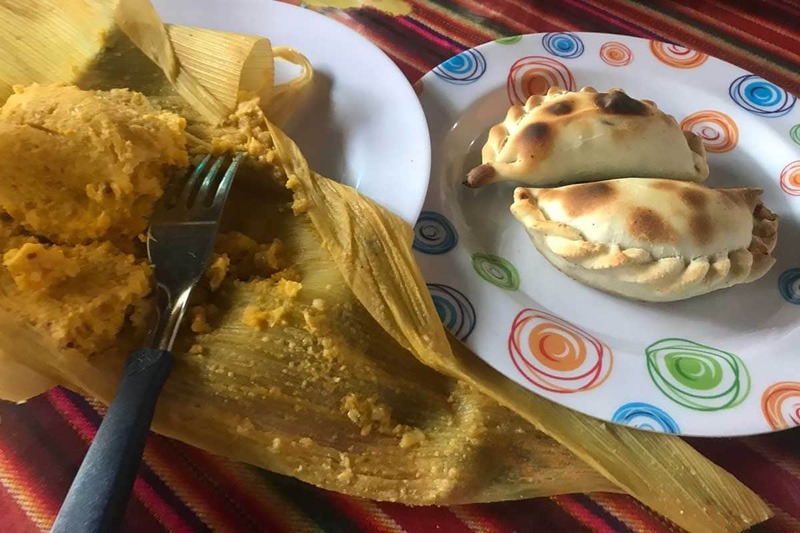 Traditional regional food (empanadas anyone?) but considered the best in the local area. We had a lunch of platefuls of beef empanadas and humongous bottles of beer (Michael recommends you try the Salta Negra). The hotel is located about 10 minutes by taxi from the airport and 25 minutes taxi from Salta city center. At Finca you will feel as if you are staying as a guest in a friend’s home (of course, it was the former family home of the owners, so no wonder). A delicious breakfast buffet is included, and a nightly set dinner menu (extra charge) is also available. Porches, terraces and a small pool beckon you to relax. If you wish to stay right in downtown Salta, we recommend Villa Vicūna Hotel Boutique, a 12-room hotel in an old colonial house not far from July 9 Square. We stayed here for several nights, particularly enjoying how the rooms are set back from the street facing a peaceful inner courtyard (and thus a little oasis of quiet!) with a small pool. 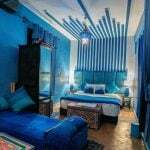 Rooms are very clean and comfortable, the staff exceedingly friendly and helpful, and the breakfast wonderful. We highly recommend the Grace Cafayate for a luxurious break, which pampered us after four days in the Puna backcountry. An astounding property with 12 rooms in the main building and another 20, 1- or 2-bedroom villas on the 500-hectare (1,235-acre) property. A secluded stay in the wine country but only 4k (2.5 miles) from town with a reliable taxi service. Simply beautiful. Click on the image below to launch our 36-hour forecast. By Plane — Martin Miguel de Guemes International Airport (SLA) is located 9.5 kilometers away from the city center (5.9 miles, approximately 15 to 20 minutes by taxi). Flights to Salta from Buenos Aires connect with both the domestic airport (Jorge Newbery Airfield or Aeroparque Jorge Newbery, AEP) and the international airport (Ministro Pisterini, known as Ezeiza, EZE), though the most common connections will be with Aeroparque. The airlines most commonly serving Salta include Aerolineas Argentinas www.aerolineas.com.ar, Andes www.andesonline.com and Latam www.lan.com. Bus Turistico Salta (BTS) – This is a tourist bus, bottom line, but we were told even locals take it to enjoy the sights of Salta. The buses are impossible to miss – bright red, open top, with Bus Turistico Salta emblazoned on the side. The official starting point of the service is Plaza Belgrano (Belgrano Square), located directly across from the Hotel Alejandro. The service is a jump-on-jump-off affair with a daily ticket priced at $260 ARS (about USD $15) – expensive when compared to local buses, but a good way to get an introduction to the city of Salta in a way many like to do on their first day in a city. Walking – The old town center in Salta is perfect for exploring on foot with a caveat – keep your eyes peeled when crossing any street outside of a traffic-light controlled crosswalk. Drivers appear to operate under the assumption that if you want to be hit crossing the street, they will be happy to oblige. Always maintain eye contact with any driver to determine if they will allow you to cross safely, and do not simply step out in front of a car when at a crosswalk. P.S. We were told it was perfectly safe to walk around all of Salta, although of course use your good sense, especially if you are by yourself. Taxi – Unlike in Buenos Aires, taxi drivers in Salta do not have a reputation for taking advantage of non-Spanish speaking tourists. Realize that most drivers will not speak English, so always carry a Salta city map with you, with the destination you want to go to marked (or a business card, or have a hotel clerk write down the name). Most hotels, restaurants and bars will be happy to call a taxi service and arrange for a pickup – which is perhaps best. Flagging down a taxi in Salta can be a challenge. Be sure the meter is turned on before you start. Fares from the city center to the airport or the convention center for example average ARS $120-$130 (about USD $7-$7.50). You do not tip, though you can round up a peso or two. In Salta, finding a public toilet (Baños Publicos) isn’t easy. 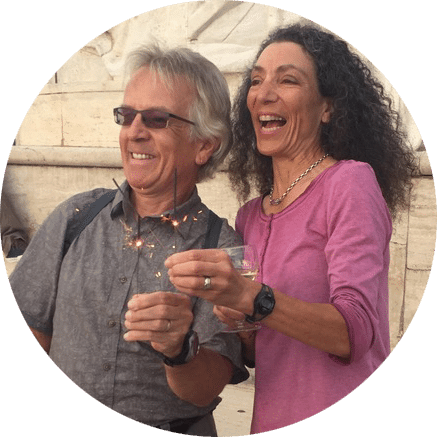 Like many cities around the world, the best way to find a realtively clean and usable baños is to slow down and enjoy a coffee, beer, or wine (depending on the time of day) at a small cafe. For planning purposes, there is one public toilet at the rear of the Catedral Basilica de Salta off the 9th of July Square and accessed from Avenue Belgrano. It is advised to carry a little TP. The official website for complete information about Salta and the surrounding communities is operated by the Ministry of Culture and Tourism of the Province of Salta. The Argentine Peso (ARS) is the currency in Argentina. Use the calculator from Oanda below to help you manage your money exchanges and know how much something selling in Argentine Pesos would cost in dollars. 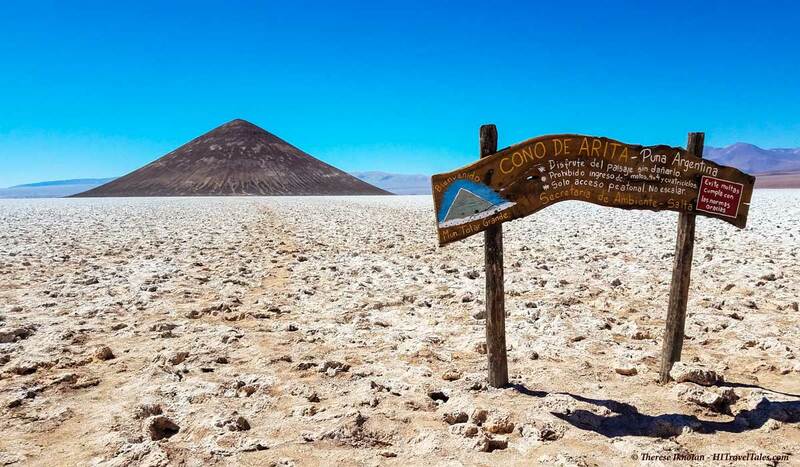 Socompa Adventure Travel – Founded by two Italians Fabrizio and his wife Valentina, Socompa specializes in taking people to some of the most remote and visually stunning places on the planet in northwestern Argentina, including the Puna and Atacama. 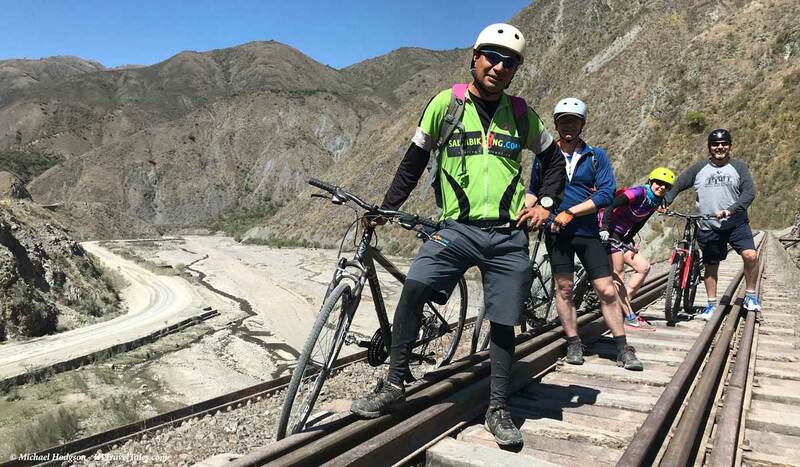 Salta Biking – Owned by Salta resident and former local mountain bike champion Alejandro Martinez, Salta Biking specializing in connecting travelers with the local culture, gastronomy, scenery and nature via one-day and multi-day mountain bike adventures. La Cara Oculta de Salta — The company runs tours from mountain biking and trekking to horseback riding and bird watching. The owner, David Bernacki, is also a chef. Get lucky and you’ll have more than empanadas for lunch! Cathedral of Salta (Catedral Basílica de Salta) – The cathedral was originally built between 1865 and 1882 (destroyed once by an earthquake) and is located right on the 9th of July Square. It is one of the most recognizable and often photographed landmarks in Salta with its light pink exterior. When it is illuminated at night, it is especially spectacular. The interior houses the tomb of the hero of the revolution and Salta’s independence, General Martín Miguel de Güemes, and is worth visiting simply to get a peek at the stained glass windows and the large frescoes on the portico around the altar. Church of San Francisco (Iglesia San Francisco Catedral) – Just a block away from the main square on Caseros is another cathedral that is awash in lights and color at night. 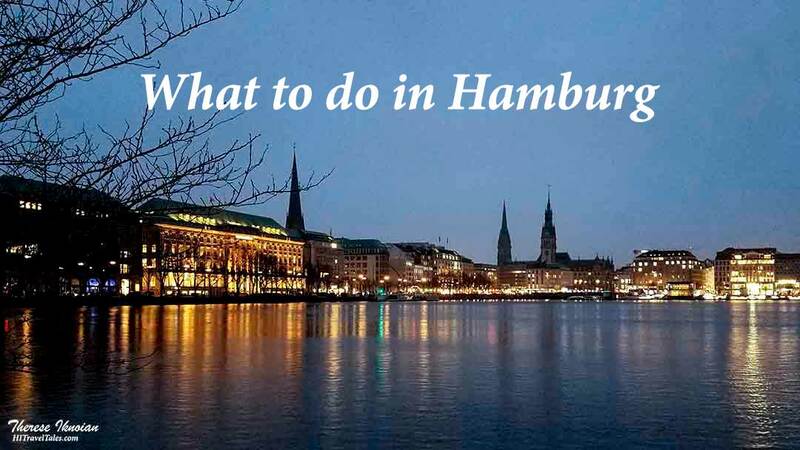 Construction began on it in 1625, with the 54-meter bell tower (177 feet) added in 1877. Today, it remains the highest bell tower in South America. The church was declared a National Historic Monument in 1941. Its hours are very limited so do check in advance if you’d like a look inside too. Museum of High Altitude Archeology (Museo de Árqueología de Alta Montaña) – Also located right on the 9th of July Square, the Museum of High Altitude Archaeology (MAAM) houses the mummified remains of three children (aged 6, 7 and 15) and numerous objects that were buried with them during a ritual Incan sacrifice approximately 600 years ago. The children’s remains were discovered in 1999 at the summit of the 22,058-foot Volcán Llullaillaco located on the border of Argentina and Chile. 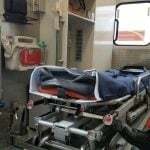 The bodies were naturally mummified by the high-altitude air and freezing temperatures, which kept the skin, hair, hands and clothing in remarkably good condition. Plus, inside, you get insights into the Inca culture itself. General Martin Miguel de Güemes Monument (Monumento a General Martin Miguel de Güemes) – Located at the foot of San Bernardo Hill and in the midst of one of Salta’s more beautiful neighborhoods (worth a wander around to view the homes) sits the Monument to General Martin Miguel de Güemes, dedicated to a hero of the Argentine independence and governor of the Salta province. 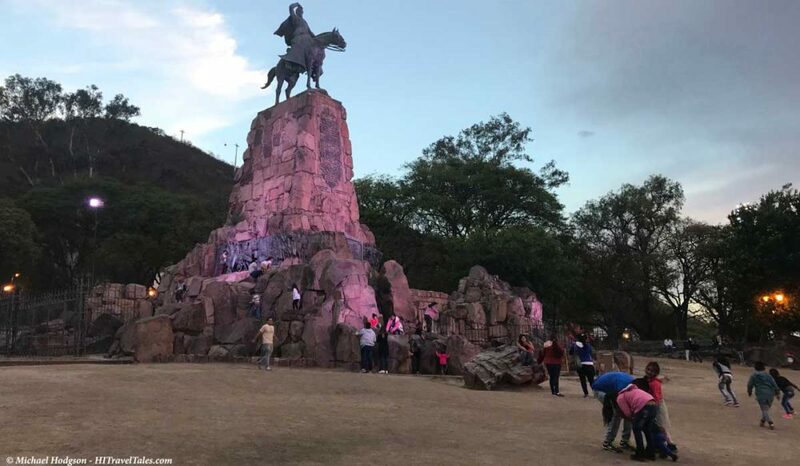 Erected in 1931, the monument sits (reportedly) on the very spot the general fell from his horse after sustaining a fatal bullet wound. Today, the surrounding park (mostly dirt) is a gathering place for youth at night and affords a nice view of Salta – especially nice during a sunset. San Bernardo Mountain (Cerro San Bernardo) – The monument, above, is where you find the starting point for the stairs up the San Bernardo mountain, where runners and walkers can bound (or stroll) up and down the more than 1,000 steps to the summit. There, you can take in sweeping vistas, have a bite to eat in the restaurant, wander in a garden, enjoy a workout in a workout park, or just sit and enjoy. If you are not inclined to hoof it to the summit, there is an easier way – a cable car from Parque San Martin (San Martin Park). 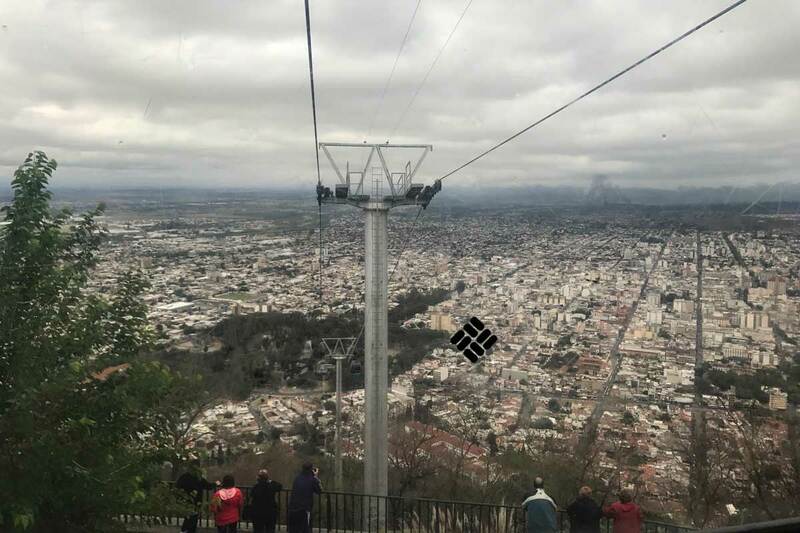 Cable car to the San Bernardo mountain summit (Teleferico San Bernardo) – From the top, you enjoy one of the best views of the city. You can either walk up the stairs (locals run it for their workout!) and take the cable car down, you can take it up and walk down, or you can of course take it both ways! At the top there are nice gardens and a few vendors selling Salta trinkets. Hanging out in the garden to enjoy the surroundings is part of the experience of course. The base station is adjacent to Parque San Martin, where you can also relax on a warm day, enjoying the small lake with a nice fountain and paddle boats. There is also an outdoor market next to it that sells souvenirs, clothes, and other market items – very local with good prices — and is a fun place to wander. The cable car ride costs ARS $200 roundtrip or $100 each way. View from the cable car. © Mallory Meiser – used with permission. Convento San Bernardo – A long relatively barren building up Caseros from the main square, at the corner of Santa Fe, has served as a chapel and hospital and now houses an order of Carmelite nuns. Wander by just to enjoy the huge, heavy wooden door, which was created by indigenous craftspeople in 1762; no touring of this adobe building is allowed. If you are lucky, a few nuns may be selling some homemade pastries outside. 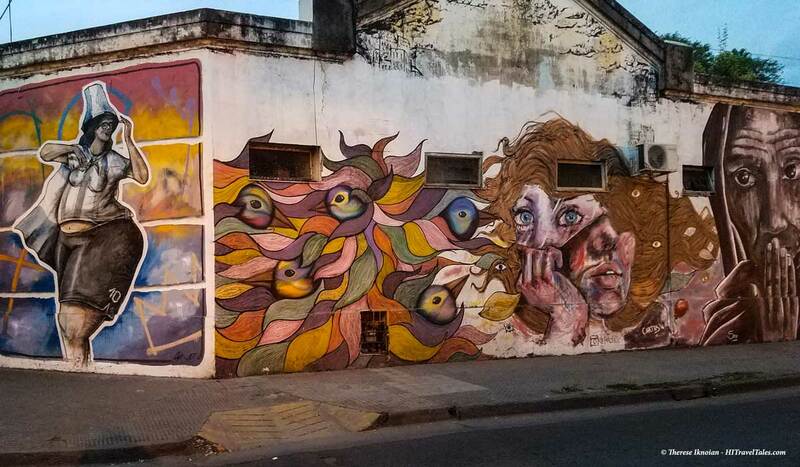 Street Art – In Argentina, street art abounds, but Salta is quite renowned for the quantity and quality, especially in its smaller downtown area. You find fantasy, reality, and even drawings by school children. Take time to not just rush from museum to church to cathedral, but to also wander about with your eyes open. You never really know what you will find! Cafayate Gorge (Quebreda de Cafayate) — The Quebrada de Cafayate, also known as Quebreda de las Conchas or Shell Gorge, makes the three-hour drive from Salta to Cafayate a tour all on its own, not just a drive to get there. Even if you don’t plan to visit Cafayate (really? ), a strolling drive through the gorge is a must. The canyon with its red rocks and cliff formations provides an impressive backdrop to route 68 – the road connecting Salta with the wine-growing region of Cafayate. Superior sights along the way include the astounding Natural Amphitheater (Anfiteatro Natural), the Devil’s Throat (Garganta del Diablo), Obelisk (El Obelisko), the Castles (Las Castillos) and more. All the names may seem like odd fancy, but once you see the sight, you will know why they were dubbed such! HITT Tip – For your trip through the gorge, we would recommend spending several nights in Cafayate to both enjoy the wonderful town and some amazing wineries — and to be sure you can more fully enjoy the drive through the Quebreda de Cafayate. See our section on “Where to Stay,” below, for additional information. Cafayate town – Busting onto the international wine-growing scene just in the last few years, the town now has 60 or so wineries (up from two 25 years ago). The wine is special indeed — mostly focused on Malbec, Cabernet France, Torrontes and Sauvignon Blanc – partly because of the climate and altitude. 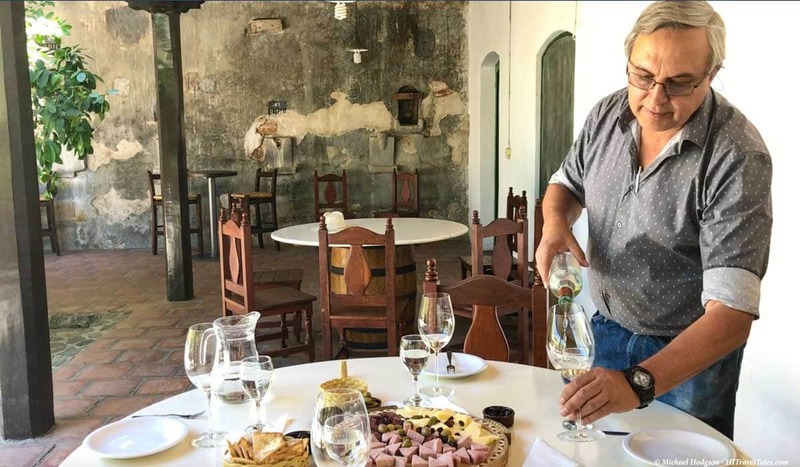 Do take the time to visit a few wineries – we enjoyed tasting in particular at El Esteco, which is actually the largest in the area – as well as poke around the downtown. Don’t miss wine-flavored ice cream like malbec or torrontes – a specialty of the area. Andrés Høy, Cafayate area wine expert and owner of Burbujas de Altura winery, pours wine for our tasting at El Esteco, where he was formerly the general manager. Train to the Clouds (Tren a las Nubes) – Traditionally, the train left early in the morning from Salta’s central station and climbed steeply up to the Quebrada del Toro (Toro Gorge) high up in the mountains. The train reportedly passed through clouds since the route is so high, thus earning its name. At the end of the journey the train reached a height of 4,220 meters (13,845 feet), where the train crosses a much photographed viaduct over the valley below. As of this writing, however, due to rail damage from floods, the train ride now involves a very long bus ride (albeit along the same route), before connecting with the train for a short section. The round-trip journey with the bus and short train section takes nearly 12 hours, with breaks along the way for meals and visiting little towns. No word on when the train will resume departures from Salta again. Right now, only mountain bikes are riding along the rails in the lower canyons where the Train to the Clouds used to go. Campo Quijano Dulce de Leche factory – If you have spent more than an hour in Argentina, you have probably already experienced its love affair with this sweet, creamy spread made basically of caramelized sugar and milk. Dulce de Leche is the most popular flavor for pastries and ice creams, but they also just eat the spread on toast or you name it! We had the pleasure of a short tour of a family-run factory just outside of Salta in Campo Quijano (where the main street with its street art is also worth a saunter). The drive is about 35-45 minutes. 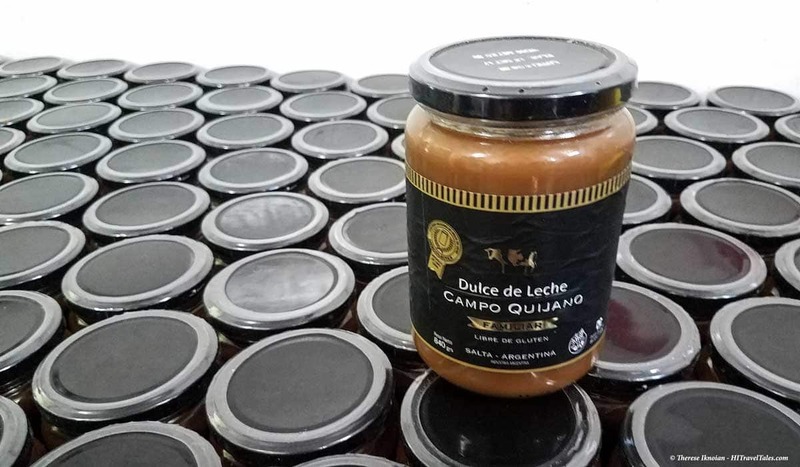 You an also buy containers of Dulce de Leche at good prices (and we actually learned to like it too after tasting this brand!) For information about tours, contact [email protected] or use the general email [email protected]. 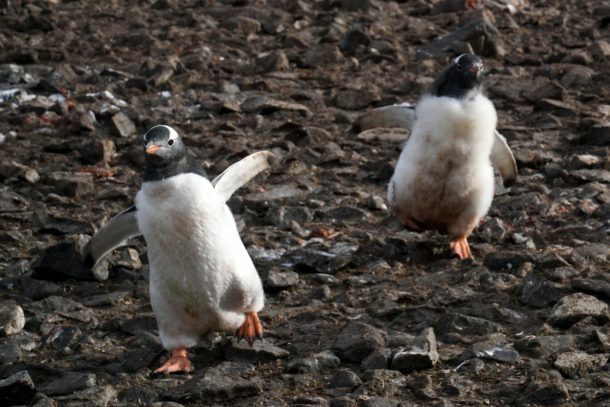 Argentina’s Puna – A tour of the Puna is not for the weak of heart since a loop journey (often three to seven days, not counting time needed if you want to do additional off-shoot excursions) will take you over passes that exceed 15,000 feet. Still, the diverse landscapes of the country’s northwestern high-plateau area are astounding. People and towns few and far between with expansive salt flats, red rock formations, volcanic cones, blazing white sand dunes, and sprawling pumice fields, not to mention wildlife. You can do a tour on your own, but it takes a lot of planning and some roughing it. We did a tour with Socompa Adventure Travel, which was the first into the Puna area and knows it like the back of its veritable hand. Patio de la Empanada – When in Argentina, indulge in empanadas. Everybody has their favorite place and they are all different. Salta claims to be where the little meat- or cheese- or vegie-filled pies originated and still (in our opinion!) has the best in the country since they tend to be baked there and not fried. 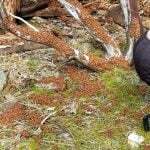 And they are also smaller than in other parts of the country so a meal may be a half-dozen or so, with one or two being a little snack. At this patio, you find a half-dozen stalls with local empanada makers selling their take on the pie (and other goodies, like tamales and soups). Do your own taste testing and draw your own opinion! – Avenida San Martin and Malvinas (about eight blocks southwest of the main square). © Mallory Meiser – used with permission. HITT Tip: Folk bars and tapas places are called “peñas,” with a number of them along the 800 block of the street Balcarce. Although we were not able to go, a local highly recommended one called Peña La Vieja Estación (Balcarce 875, 8 p.m. to 5 a.m.). 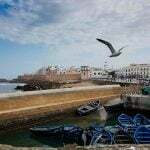 Peñas are more than a bar and more than a café or pub, but a place where locals go, usually much later at night (think after 10 or 11 p.m.) to hang out with friends, play music (traditional folk music), read poetry, etc. Often open until 4 or 5 a.m. We often wondered when the Argentinians sleep. If you seek less of the city bustle then look to the Finca Valentina – Casa de Campo where we stayed for a night upon returning from a Puna adventure with Socompa Adventure Travel, which also owns and operates this seven-room hotel. The hotel is located about 10 minutes by taxi from the airport and 25 minutes taxi from Salta city center. At Finca you will feel as if you are staying as a guest in a friend’s home (of course, it was the former family home of the owners, so no wonder). A delicious breakfast buffet is included, and a nightly set dinner menu (extra charge) is also available. Porches, terraces and a small pool beckon you to relax. If you wish to stay right in downtown Salta, we recommend Villa Vicūna Hotel Boutique, a 12-room hotel in an old colonial house not far from July 9 Square. We stayed here for several nights, particularly enjoying how the rooms are set back from the street facing a peaceful inner courtyard (and thus a little oasis of quiet!) with a small pool. Rooms are very clean and comfortable, the staff exceedingly friendly and helpful, and the breakfast wonderful. Taking an overnight excursion to Cafayate? We highly recommend the Grace Cafayate for a luxurious break, which pampered us after four days in the Puna backcountry. An astounding property with 12 rooms in the main building and another 20, 1- or 2-bedroom villas on the 500-hectare (1,235-acre) property. A secluded stay in the wine country but only 4k (2.5 miles) from town with a reliable taxi service. Simply beautiful. You can also search for other hotels and accommodations using our Booking.com search box, below. By booking your stay using Booking.com, we receive a small commission and you pay no more than if you would have booked directly … which helps us keep the lights on here in our offices, so thank you in advance for your support. 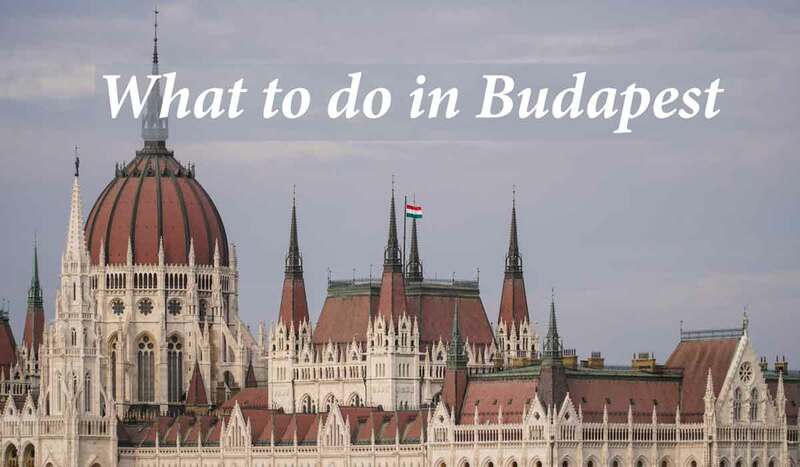 Read our other “What to do in …” guides to help you plan your next holiday to great cities around the world. Heads up! 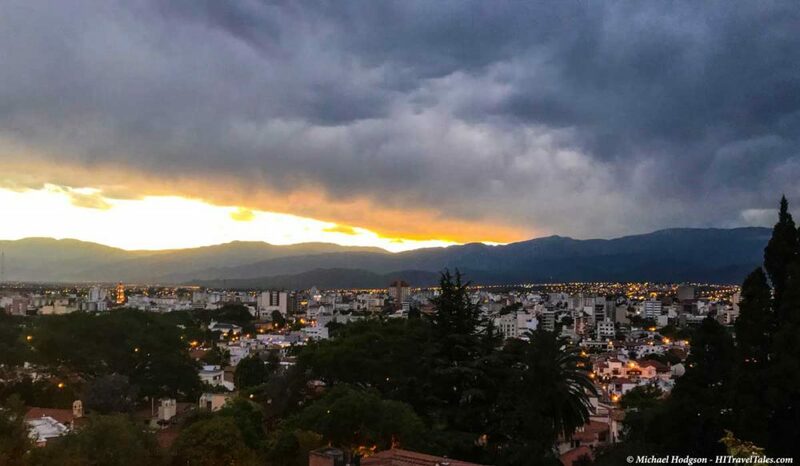 This city guide on What to do in Salta was accurate when we published it on HI Travel Tales, but, as we know, traveling is all about changes (and inflation, sadly). 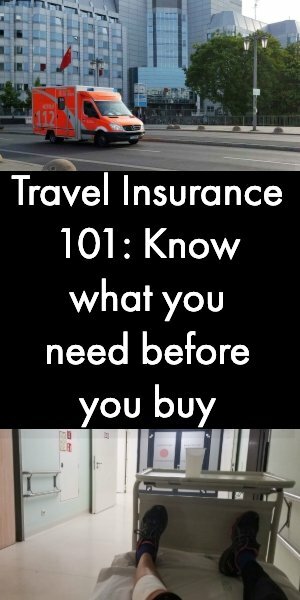 It is your sole responsibility to confirm prices, transportation schedules, hours of operation, safety and health considerations, and any other important details before your adventure.